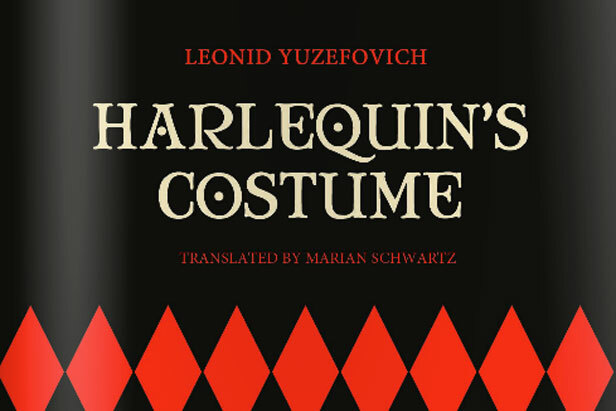 Publication of Leonid Yuzefovich’s Harlequin’s Costume in English is good news for fans of the literary fiction rather than whodunits. An Austrian prince lies murdered in his bed in imperial St. Petersburg. A military attaché, his death is blamed on an international list of suspects, from Polish conspirators to Italian Carbonari, and the diplomatic ramifications are huge. Can our cherry-dumpling-loving detective, Ivan Putilin, see through the “multitude of shadows,” find the murderer and save Russia from potential war? The real Ivan Dmetrievich Putilin was a legend in his own lifetime. From 1866 until 1893 he chased St. Petersburg’s most notorious criminals as chief inspector of police. Putilin really did write a popular autobiography, published after his death, called “Forty Years of Robbers and Murderers.” The fact that Yuzefovich openly bases his novel on actual, historical characters becomes the first layer in a complicated web of postmodern narrative trickery. At the end of the prologue, Yuzefovich mentions the myths surrounding the “enigmatic figure” of Putilin; the official memoirist dissolved the mystery, presenting instead “an ordinary gentleman with luxuriant side whiskers” and – in the process – allowed himself to digress, suppress and fabricate. Having planted doubts in the readers mind about the story’s reliability, Yuzefovich introduces a bewildering cavalcade of characters, several of whom claim to have killed Prince von Ahrensburg. There are rumors of angels and werewolves. The title image is also suitably carnivalesque. Putilin remembers a street performance in which Harlequin’s costume, sewn from rags with a single thread, fell to pieces when Pierrot pulled one end of the thread, leaving the performer naked. Translator Marian Schwartz has likewise pulled off another magic trick. From the dialogue between police officers to the musings of Putilin’s biographer, Safonov, as he walks through “thickets of dog rose,” her linguistic fluidity is seamless. “Harlequin’s Costume” first appeared in Russian in 2001 and its sequel, “Prince of the Wind,” won the National Bestseller literary prize. Schwartz is also translating Yuzefovich’s more recent novel, “Cranes and Pygmies,” which won the Big Book award in 2009. “Harlequin’s Costume” is the first full novel by Yuzefovich published in English and gives a good taste of the author’s style. Fans of Boris Akunin hoping for another Fandorin series will be happy with the setting and detective elements, but ultimately might be disappointed. This is more than a historical whodunit. Yuzefovich has taken the conventions of a thriller and deliberately undermined them. At one point Putilin pretends that a jar of pickled mushrooms in his pocket is a gun; in the middle of his detective work he starts thinking about the plot of an opera. He digresses and interrupts himself; Safonov questions and embellishes until the only thing the reader can be absolutely sure of is the power of the author’s imagination and his metamorphic literary craft.